We are a leading Manufacturer of rope making machine from Ahmedabad, India. We are recognized as the industry leaders by developing high grade Rope Making Machine. The offered machine assures 100% output by offering plastic strings that last long and have more strength. We are developing these machines as T-die and blow film type configurations, which are manufactured under deep scrutiny of our quality experts. 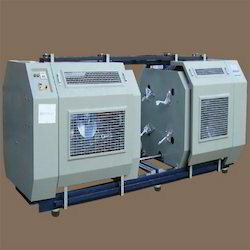 Further, these machines can be availed from us in different screw diameters and coil width at a nominal price.